Well this unit is based on Kane's Wrath MARV. 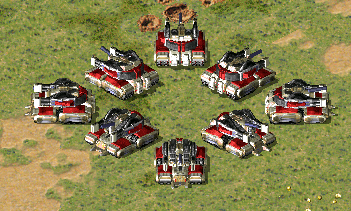 However as I find that unit ugly, I tried to spice it a little following my favorite unused concept. Feel free to guess why I like it a lot XD. Probably going to make a voxel for it someday. Now you might ask yourself what it does have in common with that concept?. Besides the dual-liked railgun cannons, the unit is also meant to deploy, however due to college and the short time to make the unit, I wasn't able to finish the deploying animation, and test it ingame (so it fitted the voxel), however I will finish it (the animation is quite simple, I just lack the free time to test it ingame, due to college). 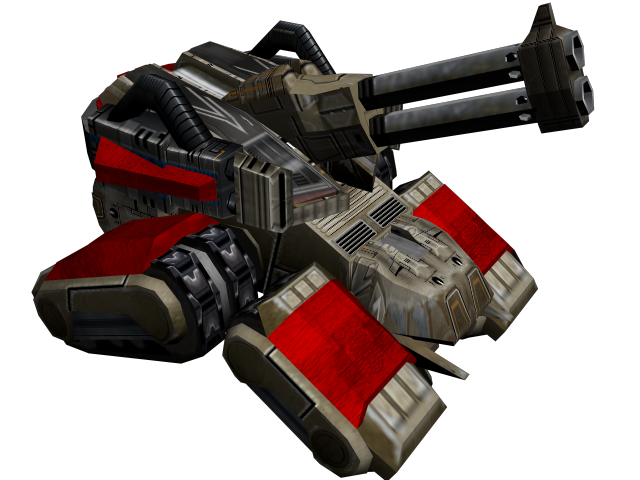 Originally I gave the model way more detail and weapons (it had grenade launcher tubes, and dual missile launchers). 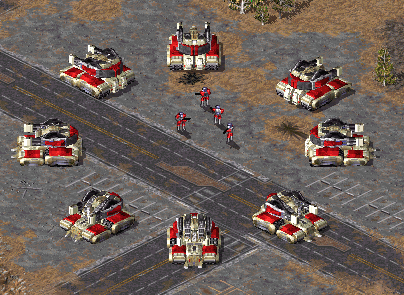 But that looked bad ingame, the tubes looked just like 3 black lines, and the missile launchers were to small to be noticed as anything else than horribly textured boxes. In the end I removed many detail pieces, and simplified some texturing both in 3ds max and in the voxel editor. The rar includes everything you might need to code the unit ingame, also concepts for both main inspiration sources and a big render of the unit. Also please use the HVA provided with the unit, specially the turret's HVA as it's used to set the rotation axis of the turret, due to it's shape. , somebody missed the important part . ...however I will finish it [in relation to the deploy animation/state] (the animation is quite simple, I just lack the free time to test it ingame, due to college). The animation itself is quite easy to make, however I might need several tries to get the exact size for it, so it fits perfectly the unit. However I don't have the free time to do it ATM. snice you dont have enough freetime to finish a simple deploy animation, I gues your mod wont be released this winter?